Tenerife Holidays Free Child Places 2019 @Web2traveldeals. Online Since 2000. Finding the Best Value Holidays with Free Child Places Tenerife from U.K. airports. Popular resorts for free child places include Costa Adeje, Los Cristianos, Playa De Las Americas, Playa De La Arena, Playa Paraiso, Puerto De La Cruz, Puerto de Santiago. New Tenerife Holidays Free Child Places 2020. View Holidays Genuine Free Child Places Tenerife 2019. Looking for Tenerife Holidays Free Child Places 2019? Stop wasting time phoning round all the Tour Operators and going into high street branches. Our Team at @Web2travelDeals have been very busy doing all the legwork for you to find out which Tenerife resorts have holidays from the UK to Tenerife with Free Child Places School Holidays. You can search and compare deals from all the Top Tour Operators such as First Choice, Tui, Jet2Holidays, Thomas Cook, Skytours. Once you have found the perfect place for your getaway, you can book your family holiday online direct with the Company using one of our quick links. Sol Arona Tenerife, Los Cristianos, Tenerife. Get More Information, and claim your Free Child Place Sol Arona Tenerife, Los Cristianos, Tenerife. Compostela Beach Golf Apartments and Siam Park, Playa De las Americas, Tenerife 3 star. Compostela Beach Golf Apartments and Siam Park, Playa de las Americas, Tenerife. Get More Information, and claim your Free Child Place at Compostela Beach Golf Apartments and Siam Park, Playa de las Americas, Tenerife. Genuine Free Child Places are also available from Edinburgh, Glasgow, Exeter, Gatwick, Norwich during Summer Holidays. Gran Oasis Resort, Playa De las Americas, Tenerife. 4 star. Book Online Now to claim your Free Child Place. Get More Information, and claim your Free Child Place Villa Mandi and Siam Park, Playa de las Americas, Tenerife. Genuine Free Child Places are also available from Glasgow, Exeter, Gatwick, Norwich during Summer Holidays. Get More Information, and claim your Free Child Place Hotel La Siesta, Playa de las Americas, Tenerife. Be Live Family Costa Los Gigantes, Playa De La Arena, Tenerife 4 star. Get More Information, and claim your Free Child Place Be Live Family Costa Los Gigantes Playa De La Arena. Holiday Village Tenerife, Playa De La Arena, Tenerife 4 star. Get More Information, and claim your Free Child Place Holiday Village Tenerife, Playa de la Arena. SuneoClub Globales Tamaimo Tropical Hotel, Puerto de Santiago, Tenerife. Get More Information, and claim your Free Child Place Globales Tamaimo Tropical Hotel, Puerto de Santiago, Tenerife. We are still waiting for Tour Operators to confirm more Tenerife Free Child Places 2019 Summer. As a guide we have provided a list of hotels and apartments Tenerife Free Child Places 2018, to give you a guide to what is likely to be available for Family Holidays Summer 2019. Properties include Las Piramides Resort, Colon II Apartments, Columbus Aparthotel, Villa Mandi Golf Resort, Fanabe Costa Sur Hotel, Fiesta Hotel Paraiso Floral and more – At the time of release there were over 100 free kids places 2017 on offer for Tenerife with First Choice Thomson Holidays. Examples below. 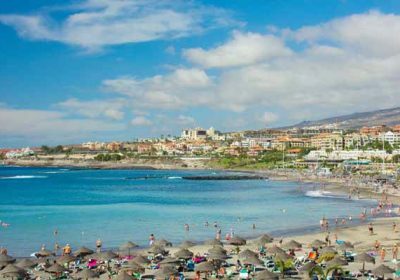 Although there were free child places Tenerife on offer from Direct Holidays, we found that it was cheaper to book the family holiday without free kids places. See examples at foot of this post. This post is designed to save you time and money when searching for Free Child Places Tenerife. This post Tenerife Holidays Free Child Places 2019 shows you hotels and apartments which our team have visited to check that free child places are available. Free Child Places Fanabe Costa Sur Hotel, Cosa Adeje, Tenerife. 3 star. Free Child Places Tryp Tenerife, Los Cristianos, Tenerife. 3 star. Free Child Places Hotel Jardin Tropical, Costa Adeje, Tenerife 4 star. Free Child Places Playa Real Tenerife, Costa Adeje, Tenerife 4 star. Free Child Places Holiday Village Tenerife, Playa De La Arena, Tenerife 4 star. Marylanza Suites and Spa Resort, Playa De Las Americas, Tenerife from First Choice, 4 star plus, All Inclusive from £1903 (total price for family of 4). More Information. Las Piramides Resort, Playa De Las Americas, Tenerife from Thomson, 3 star, Studio, Half Board from £1197 (total price for family of 4). More Information. Colon II Apartments, Playa De Las Americas, Tenerife from Thomson, 4 star, 1 bed Apartment, Self Catering from £1235 (total price for family of 4). Check Availability. Columbus Aparthotel, Playa De Las Americas, Tenerife from Thomson, 3 star, 1 bed Apartment, Self Catering from £1257 (total price for family of 4). More Information. Villa Mandi Golf Resort, Los Cristianos, Tenerife from Thomson, 4 star, 1 bed Apartment, Self Catering from £1465 (total price for family of 4). More Information. Half Board and Full Board Options available. Fanabe Costa Sur Hotel, Costa Adeje, Tenerife from Thomson, 4 star, Twin Room, Half Board from £1696 (family of 4). More Information. All Inclusive Option available. Fiesta Hotel Paraiso Floral, Playa Paraiso, Tenerife from Thomson, 3 star, Family Room, All Inclusive from £1836 (total price for family of 4). More Information. Marylanza Suites and Spa Resort, Playa De Las Americas, Tenerife from Thomson, 4 star plus, Suite, All Inclusive from £2027 (total price for family of 4). More Information. Tenerife Holidays Free Child Places 2018. We found that the price for many family holidays from Direct Holidays which offer a free child place is more expensive than booking the holiday without a free child place. Check Availability using examples below. HG Cristian Sur Apartments, Los Cristianos, Tenerife, 3 star, Self Catering from £875.32 (total price for family of 4) More Information. Parque La Paz Aparthotel, Playa de las Americas, Tenerife, 3 star, Self Catering from £954.96 (total price for family of 4) More Information. La Paz Hotel and Spa, Puerto de la Cruz, Tenerife, 4 star, All Inclusive from £ (total price for family of 4) More Information. The above prices were taken from Tour Operators websites in May 2016 based on departure dates in Summer 2017 and include 1 free child place. Our experience has shown that the number of Free Kids Places is generally limited and you should try and book as far in advance as possible to guarantee Free Child Places Tenerife for your family holidays. View Tenerife flight and hotel deals for holidays without free child places on www.web2travel.co.uk.